A trustee is a person or company appointed to manage a trust and property held in that trust. In legal jargon, a trustee is actually the person or company that holds legal title to all trust property. This basically means the trustee is the person on paper title for real estate, which in turn means that the trustee is the correct person or company to sign a deed transferring property out of the trust. Each state has created its own specific way for managing public records relating to land transfers. Generally, each state appoints a county land records officer to keep track of all real property conveyances within that county. When property is transferred to a trust, that property is actually transferred by deed to the trustee. To keep the land records accurate, the trustee will need to sign the next deed conveying property back out of the trust. A trust agreement is a complicated legal relationship involving the trustor, the trustee, and one or more beneficiaries. The trustee holds only "legal" title to the property and the beneficiaries hold what the law calls "equitable" title. As a result, the trustee only has authority to transfer trust property as provided in the trust agreement instructions. 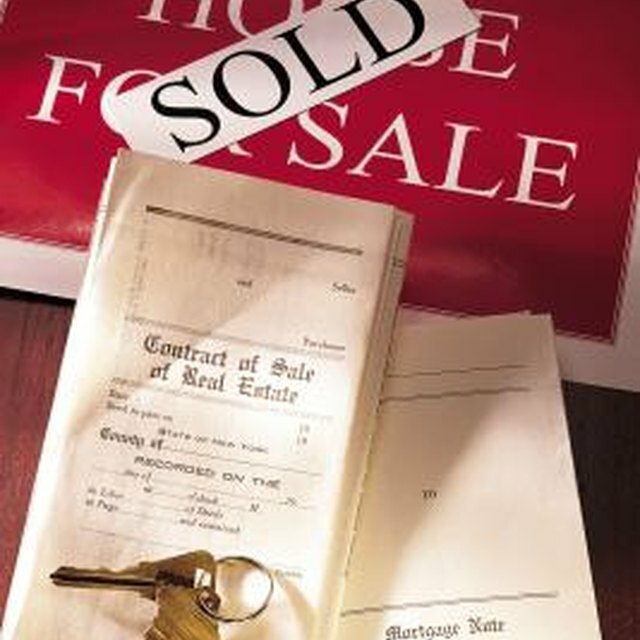 The trustee's title to the property is always limited to the provisions of the trust agreement. A trustee is a fiduciary to the beneficiaries of the trust. This means the trustee has an obligation to act in the best interest of the beneficiaries and to always follow the trust instructions. If a trustee transfers property out of the trust without the beneficiary's permission, or in contradiction to the trust instructions, then the beneficiaries may sue the trustee for breach of fiduciary duty. To avoid this problem, a trustee should always examine the trust instructions before signing a deed transferring any property out of the trust. What If the Mineral Rights Are Left in an Estate of a Deceased Relative? Most trust agreements grant the trustee a certain level of discretion regarding the trustee's rights and duties to manage, invest and distribute the trust property. In exercising that discretion, the trustee may transfer property as an investment strategy, or the trustee may transfer property as a distribution to a beneficiary. Either way, the trustee has legal capacity to sign a deed conveying that property out of the trust.